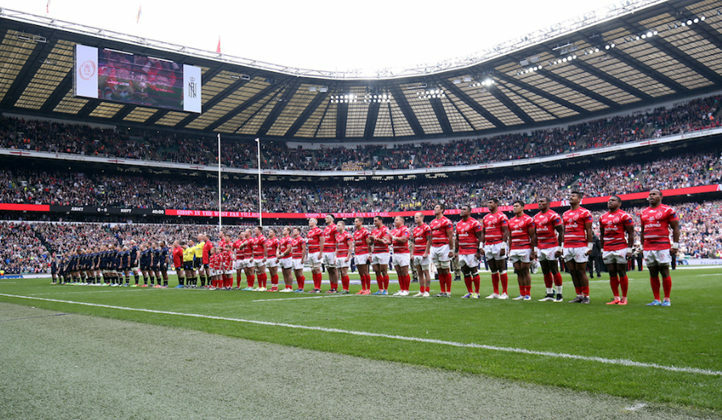 Twickenham stadium will host the 101st Babcock Trophy game, the annual meeting of the Army and Navy and culmination of the Inter-Services Competition. Although the championship features the Royal Air Force (RAF), the oldest rivalry remains between the ground and sea forces and is considered the highlight of the championship. The name Babcock comes from the sponsor. The first Army vs Navy match took place in 1878 at the Queen’s Club in London with the Navy victorious. The Navy’s victory was no doubt helped by a few errors for the Army. R Bannatyne, a Royal Artillery Officer was chosen as captain although he was placed overseas at the time and received no notification of his call up, therefore missing the game entirely. Another Army player arrived late and missed the majority of the game. Records show a further three games took place leading up to 1906, but it’s believed many others also occurred. 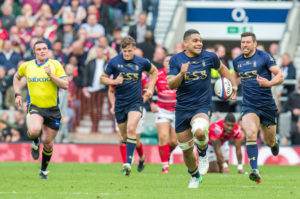 The Army Rugby Union was established in 1906, leading to the first ‘official’ Army vs Navy Match in the February of the following year, hosted at the Queen’s Club in West Kensington. Despite, not yet having an official Rugby Union, the Navy claimed a close 15-14 win. The Royal Navy Rugby Union is believed to have formed later in 1907. The Queen’s Club continued to stage the match until the First World War commenced in 1914, bringing the fixture to a pause. Six years later, the first match was played at Twickenham, which has played host ever since, barring a 6 year break during the Second World War. Each force fields three teams, a senior men’s XV, a women’s XV and a veteran’s XV. The veterans go by the names of the Army Masters and the Royal Navy Mariner. The veterans play alongside the women on an adjacent pitch at Kneller Hall, a short distance away from Twickenham Stadium. The women played for the first time in 2003, with the Army storming to a 35-5 win. The Navy are yet to win, having lost all 15 games between the forces. A UK Armed Forces U23s v Oxbridge U23s game takes place at Twickenham before the men’s senior sides take to the field.